The “suntrap” at the heart of the Matterhorn paradise is a popular excursion destination for explorers young and old. It is also an ideal starting point for the onward trip to Blauherd and Rothorn. At Lake Leisee – a small mountain lake right next to the mountain railway station – families enjoy an adventure playground and various pleasant barbecue areas. While youngsters explore the play area with its merry water feature, parents enjoy the amazing view of the unique Matterhorn. How about a refreshing plunge into the lake? Or crossing Lake Leisee on a wooden raft – thereby feeling a bit like Robinson Crusoe? 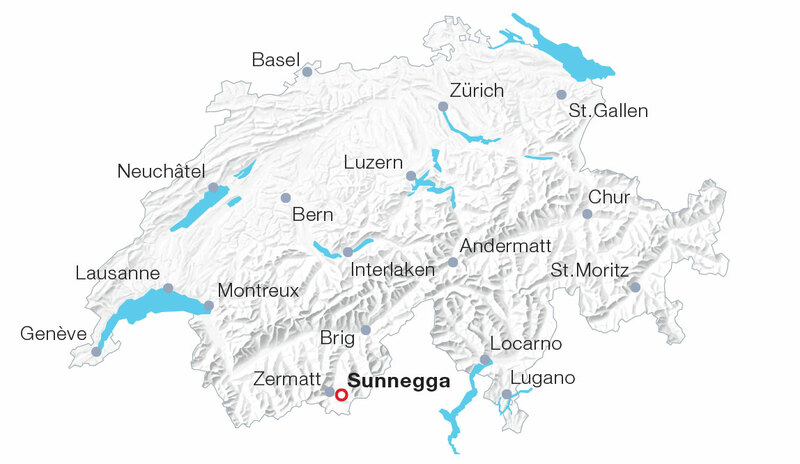 And what’s more: The racy kick bike ride from Sunnegga via Tufteren to Zermatt is much too good to miss. The Sunnegga-Rothorn valley station lies about ten minutes’ walk from Zermatt railway station. A tunnel leads deep into the mountain to the funicular station.